One of the best cardiac arrest survival rates in the U.S. consistently is casinos, like Reno, Las Vegas, Atlantic City, etc. Why? 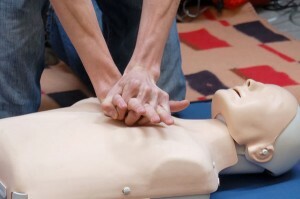 Well, it starts with all staff trained in CPR, and multiple AEDs in every casino (some since early 90’s). Most areas of a casino are under camera coverage with people actually watching security cameras.